Laura Anne Walling is the Site Director at Bach to Rock, Gaithersburg. 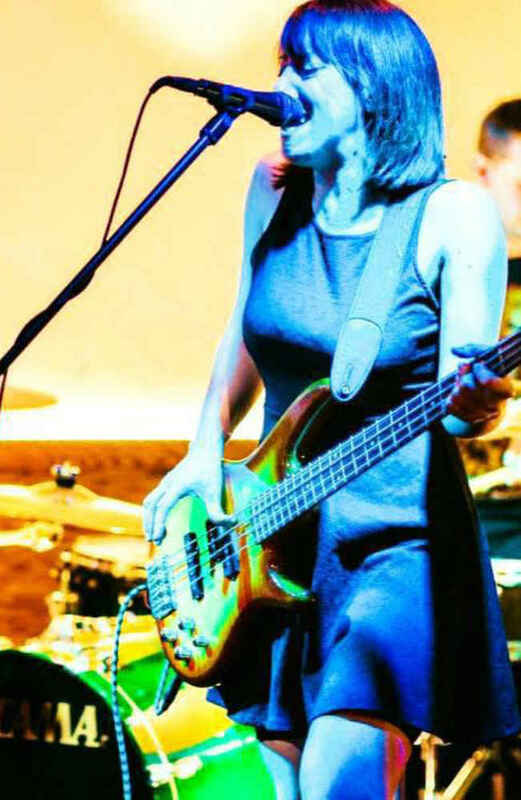 Laura is a bassist with over 10 years of professional musical experience. She has performed as a bassist in over 80 music theatre productions along the East Coast as well as various symphony orchestras and jazz ensembles. 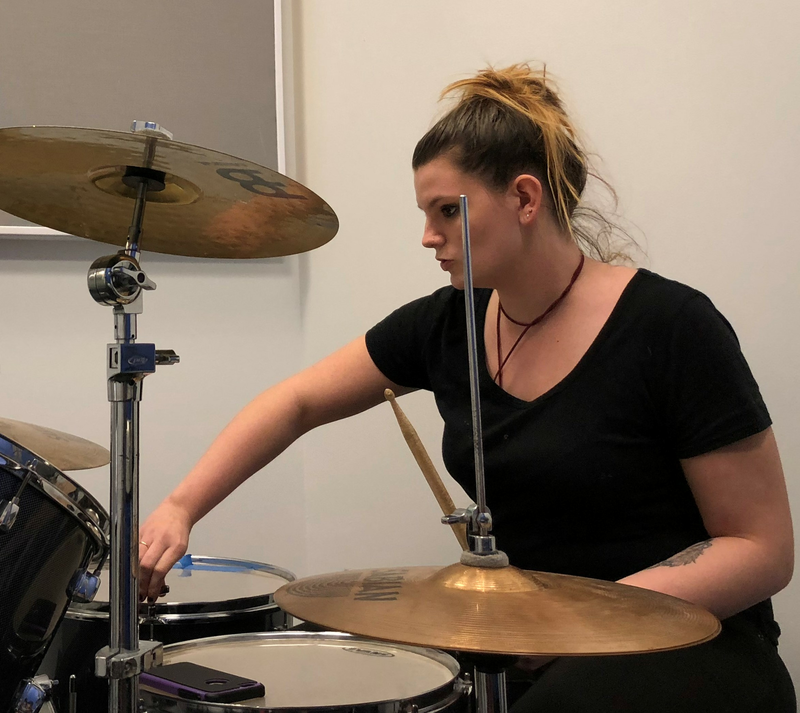 She has occasionally waived her position as a pit musician to appear onstage as an actress in several music theatre productions in Frederick, MD. Her current project is an up-and-coming rock band called HERE 'TIL SUNDAY where she performs as lead female vocalist and bassist. She studied at Shenandoah University in Winchester, VA as a Conservatory student with a minor in Business Administration. Paul Buehler is the Assistant Director at Bach to Rock in his hometown of Gaithersburg, MD. 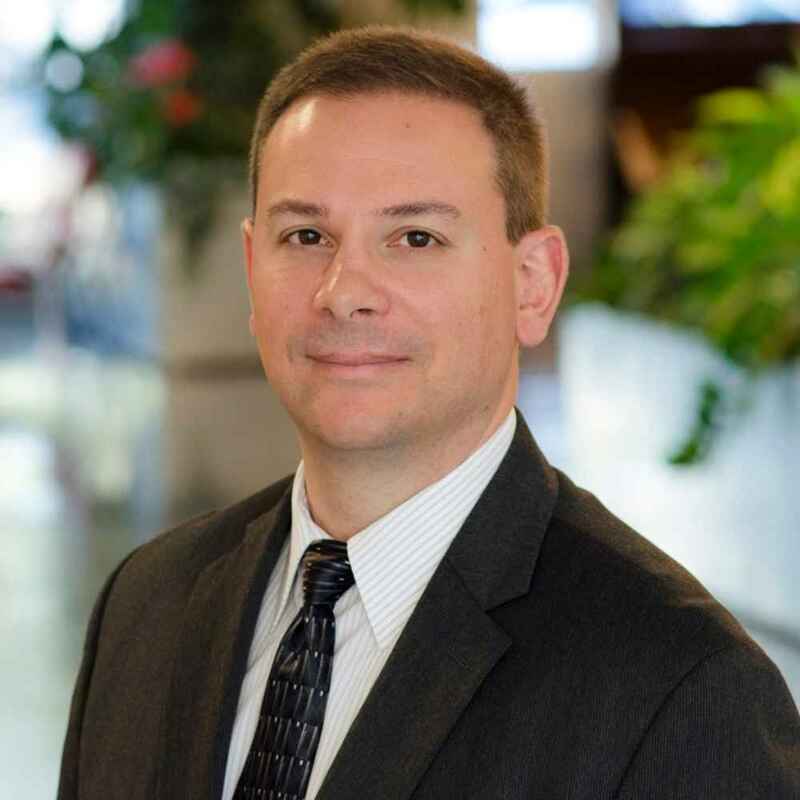 Paul is a musician who began learning the cello in elementary school and continued on to a variety of string, woodwind, and brass instruments while attending Eastern University. It was here that he studied to be a music educator. He moved back to Montgomery County to teach instrumental music for the public school system for a few years. Paul continues his dedication to music education in his position at Bach to Rock and aims to help sustain a community that embraces the arts. A couple of his favorite bands are Five for Fighting and St. Paul & the Broken Bones. Paul Rados is an assistant director at Bach to Rock Gaithersburg. He is originally from Frederick, MD but moved to South Florida in Elementary school. It was there where his musical background would begin to bloom. Starting on the violin he quickly became curious with any and every instrument he could get his hands on. A brief stint on the trumpet in middle school led to a desire to find his true instrumental pairing. Putting aside his obsession with football in his sophomore year, he began piano lessons. Piano turned into guitar and guitar turned into Bass where Paul finally found the perfect fit to accompany his musical. After football also came show choir, barbershop quartets, and musical theatre. Following the recording of an album with his first band, he moved to New Orleans in pursuit of a musical career. It was there where he had the opportunity to refine his performance and improvisational skills by playing with local legends. He followed his life-long desire to return home to Maryland where he began his career with Bach to Rock! His musical influences include the band 311, The Red Hot Chili Peppers, Sly and The Family Stone, Queen, Tom Petty, and many more! Aldo R. teaches drums and guitar at B2R in Gaithersburg and is an active freelance percussionist in the DMV metropolitan area. 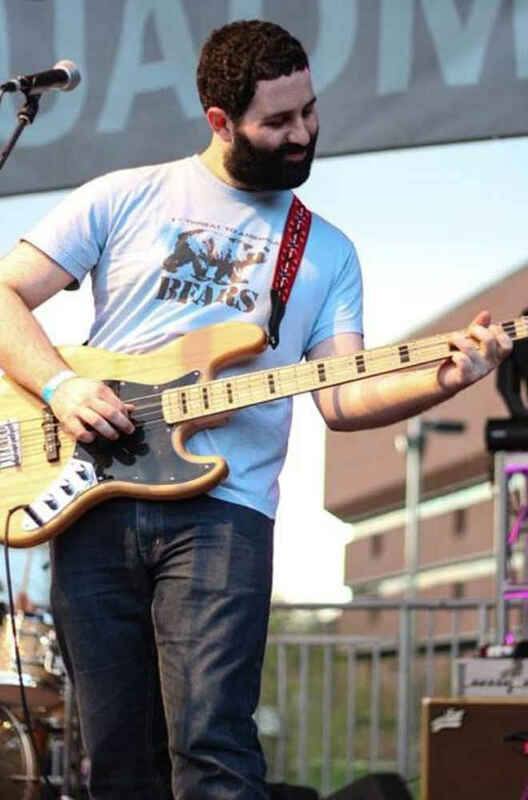 He has degrees in percussion performance from Towson University B.M., and Montgomery College A.A. His interest in music started in his early teenage years when he started playing guitar and keyboard to his favorite songs. 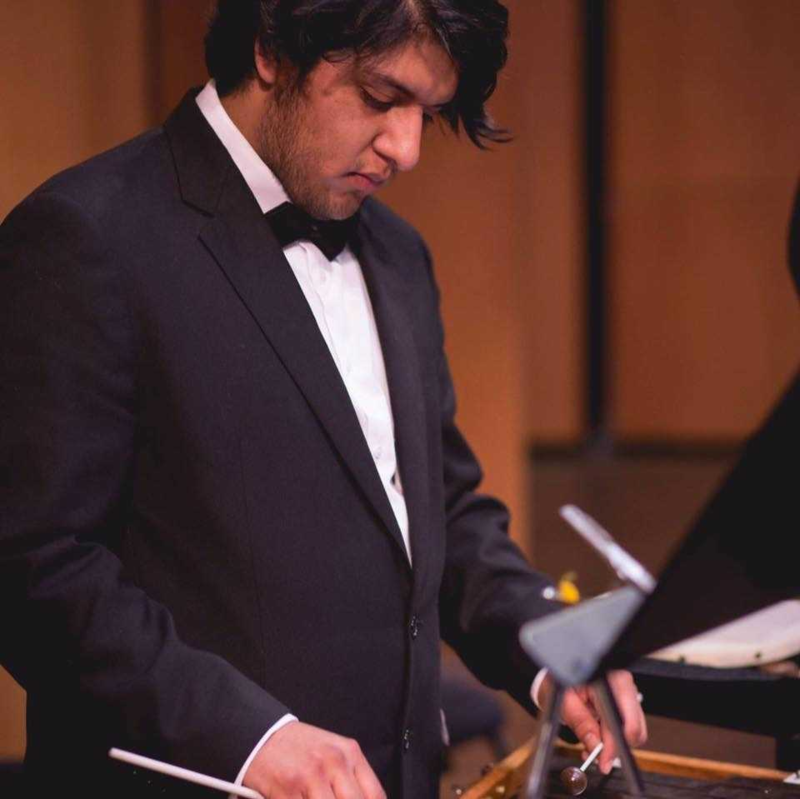 His background as a percussionist has given him the privilege of performing in orchestral, jazz, rock, and world music in professional, amateur, and community ensembles. Some of his biggest musical influences come from bands, artists, and composers such as Café Tacvba, Iron Maiden, Gustav Mahler, Francis Poulenc, Pat Metheny, and John Coltrane to name a few. He loves all aspects of music and is always looking to learn, perform, teach and create music of all styles. He encourages everyone to try new musical experiences and expand their musical adventures. Alex A. teaches voice, guitar, drums keyboard and bass. Currently pursuing a degree in Choral Music Education at University of Maryland Baltimore, Alex has been both a teacher and participant in a variety of different musical outlets including musical theater, acappella, rock bands, and a wide spectrum of choirs. He is currently writing original music and playing as a solo act around the metro area. Alex's favorite artists include Queen, Stevie Wonder, and Beethoven. Brenda P. is an early childhood specialist and a brass instructor at B2R Gaithersburg. She graduated from Towson University with a Bachelor’s in Music Education and is currently a music instructor with Montgomery County Public Schools. Primarily a trumpet player, she is also very proficient in trombone, euphonium, tuba, percussion/drums, and vocals. Brenda loves inspiring budding musicians! 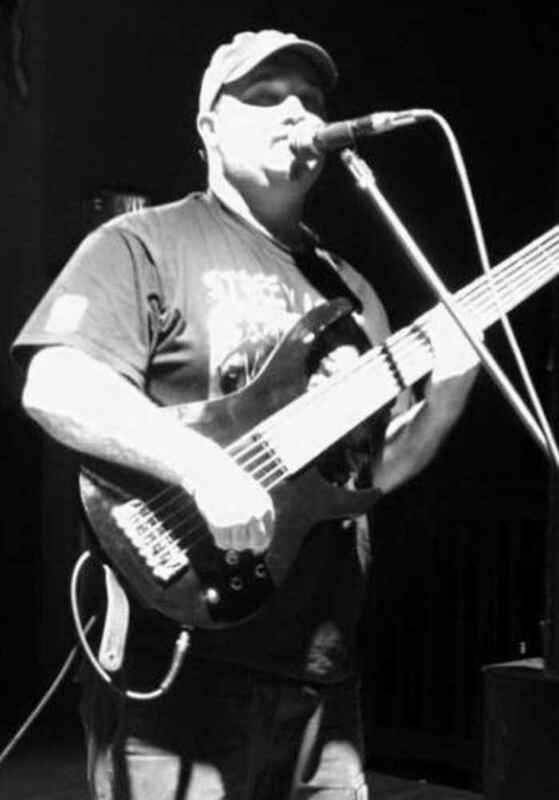 Dan M. teaches guitar, bass and piano/keyboard at B2R Gaithersburg. Dan holds a Bachelors of Music in Performance, concentration in Classical Composition from William Paterson University in NJ. His music background began with the trumpet back in elementary school and progressed to guitar/bass, performing in rock bands and audio engineering/mastering. Dan’s studies in composition, electronic music, and engineering led to a true passion for technology. He has been playing guitar for 30 years. Emily S. is a voice instructor and early childhood specialist at B2R Gaithersburg. 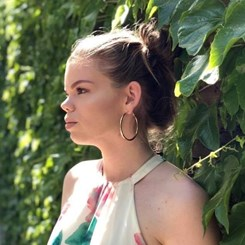 Music has been in Emily’s life since age six when she started taking voice lessons, and quickly picked up musical theater through grade school. 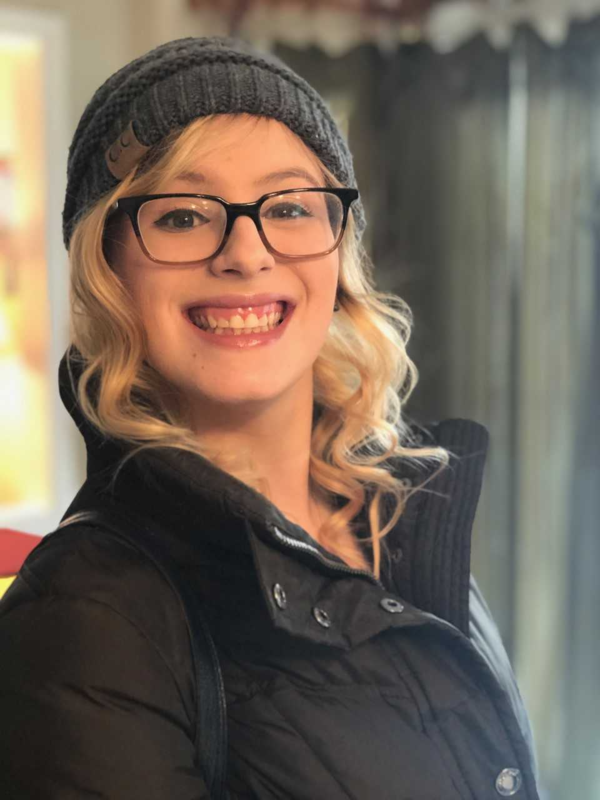 While pursuing a degree at Towson University, Emily performed in both mixed and women’s choirs with the university, as well as leading an acapella groups until graduating in 2017. Emily is excited to teach and inspire the next generation of musicians through B2R! Jason S. began his musical career as many do, on the theatre stage. There, he first found his love for music and the dramatic, which was soon augmented as he began learning piano and percussion. His musical passions lived and grew in parallel, in the worlds of theatre, concert, rock, and jazz. He followed other interests at college, obtaining a degree in Mathematics from the University of Maryland; but while there, he gradually uncovered a drive to pursue the music he had spent so much time learning and loving. He started writing songs and scores at every opportunity, building up his skills and portfolio for a drastic change in direction. Jason just completed his Master's in Scoring for Film and Multimedia, and aims to have his work heard on stage, screen, and radio, in all the styles he grew up on. His work features a variety of modern styles, commonly blending songlike structures, modern and jazz harmony, and synthetic textures. In Fall 2017, Jason received the Vic Mizzy Scholarship from the ASCAP Foundation, based on the recommendation of his teachers and judgment of the foundation's board. He now works as a freelance composer, musician, and educator based in Columbia, MD. Jonny S. is a music instructor at B2R Gaithersburg. He is a graduate of UMBC with a bachelors degree in Psychology. Jonny plays drums, guitar, bass, & ukulele, and has recorded & performed with many bands growing up in the Baltimore area. 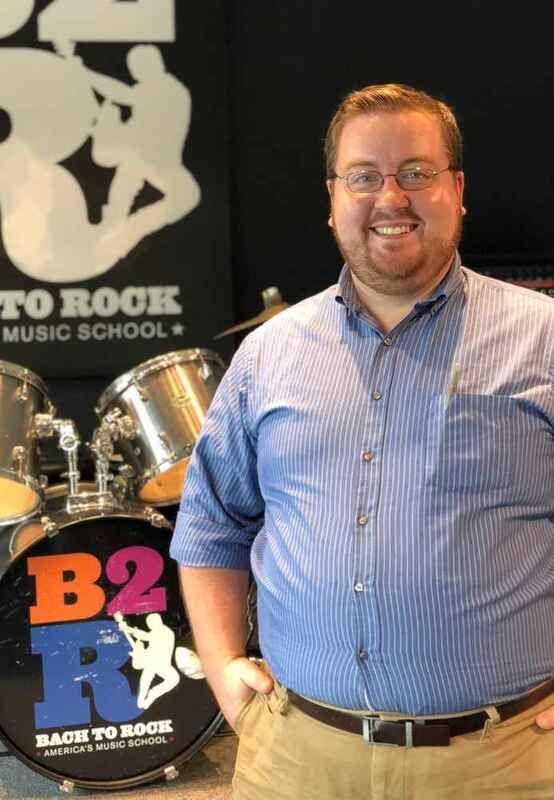 He has a passion for live music and is excited to share that with the students and staff of B2R Gaithersburg. 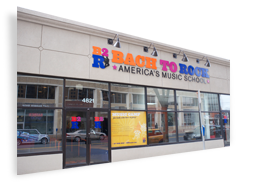 Krissy S. teaches violin, guitar, and piano at Bach to Rock in Gaithersburg. She started playing the violin during her elementary school years and has been a part of all her school orchestras ever since. At the age of 11, she picked up on guitar and at 13 she took on piano. Krissy was very involved throughout her music career as well. When in middle school, she took part in Montgomery county’s solo and ensemble events receiving superior ratings. Krissy was involved in 3 of her school’s talent shows, all in which she sang and played guitar. During high school, she was determined to take on many challenges, exploring all the opportunities offered to her. She was a part of the pit orchestra in two of her school’s musicals including Alice in Wonderland and Pippin. During her freshman year, Krissy began as a second violinist, but over the years rose up to concertmaster. She took part in the Baltimore Symphony Youth Orchestra where she had the chance to play with Itzhak Perlman. Krissy also had the honor of participating in Montgomery County's All-County Orchestra. She even had the opportunity to perform at Constitution Hall during her senior graduation. Today, Krissy is still a member of various orchestras and working to perform gigs in her community with her guitar, piano, and violin. As a teacher at Bach to Rock, Krissy wants to help students find their voice in music. 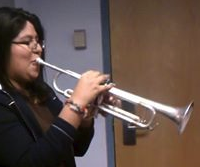 She aspires to teach students music but to also find a love for it the way she did. Music brings people together, and with her love and passion for it, Krissy wants to share her gift with her students. 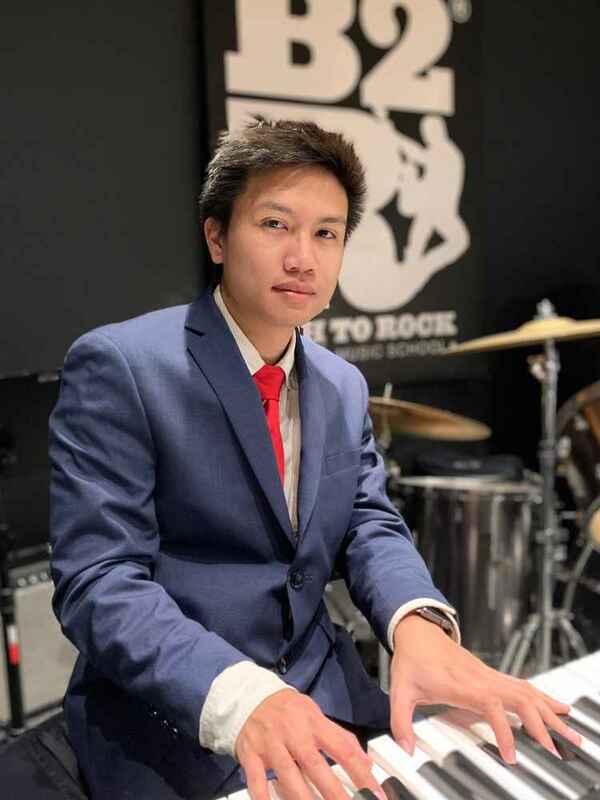 Leon L. teaches piano/keyboard, bass, and coaches bands at B2R Gaithersburg. He is the keyboardist, bassist, vocalist, and co-founder of The Almighty Pawns, a party, wedding and event band based out of Gaithersburg. His favorite artists include Stevie Wonder, George Duke, Oscar Peterson, Herbie Hancock, Alicia Keys, Kirk Franklin, Incognito, Donny Hathaway… the list can go on and on! Music became a passion for him when he was 12. He joined the high school choir and stuck with it all throughout high school. He also joined a local gospel quartet, studied drama, and had lead parts in school musicals. In his twenties he started studying the bass guitar in additional to “tickling the ivories” and singing. Leon enjoys passing on the gift of music to younger generations and is pleased to be a part of the B2R family!" Lindsay M. earned her Bachelors Certificate in Audio Engineering and Music Production at Omega Studios School Of Applied and Recording Arts. She has been playing drums since she was 12 years old. Her major influences include Ginger Baker, John Bonham, Buddy Rich and Don Brewer. She has had the opportunity to be part of many bands, and has worked as a studio musician with Roger Waters, Billy Corgan, and Baby Face just to name a few. Luis “Franco” R. is a Puerto Rican Music Producer with over 15 years of experience in music. He is currently teaching DJ/Music Production at Bach to Rock, Gaithersburg, MD. He earned an associate's degree in Sound Engineering before becoming one of the first students to graduate with a dual bachelor's degree from Berklee Online in Music Production and Music Business. Now, he's pursuing a master's degree, also at Berklee College of Music, in Music Production. His music influences come from Latin music, Hip-Hop, and EDM. When he's not producing music or DJing, he is either playing video games, sketching or making coffee. Mary S. is a vocal and piano instructor at B2R Gaithersburg. She recently completed her Bachelor's in Music Performance at Shepherd University. At Shepherd, she had the opportunity to be in many productions, including Gilbert and Sullivan's Pirates of Penzance as Mabel, Little Women (the musical) as Amy, and Dido and Aeneas as Belinda. She was a Scholar in The Scholars of St. Cecelia, a choral ensemble in Cumberland specializing in Baroque music. As a vocalist, she is drawn to French melodie for its rich, complex harmonies and abstract yet expressive language. She also loves English art song for its diversity. She loves being around music and is happy to have the opportunity to work in a place where she can share her knowledge with students! Nate L. teaches Piano, Guitar, Flute, Clarinet and Saxophone in Bach to Rock Gaithersburg. He started his music career in elementary school playing the flute and since then, he has taught himself various other instruments including clarinet, alto saxophone, guitar, piano and bass. In high school, he has arranged music for his jazz band, served as the conductor for his marching band and played piano during his graduation ceremony. Coming out of high school, he has taken up gigs as a professional pianist and woodwind doubler. In college, Nate formed and directed numerous bands including the Minor Third Jazz Combo and the rock band Magnolia. Alongside this, Nate also performs regularly as a choir accompanist for his church. Nate loves to arrange, compose and record music on his free time and when playing a gig, he enjoys the freedom of improvisation and challenge of sight reading. Nate believes that everyone, no matter what age, can learn how to play and enjoy music, as long as they have the patience, confidence and drive to do so. He takes inspiration from other musicians such as Herbie Hancock, Charlie Parker and Jaco Pastorius. 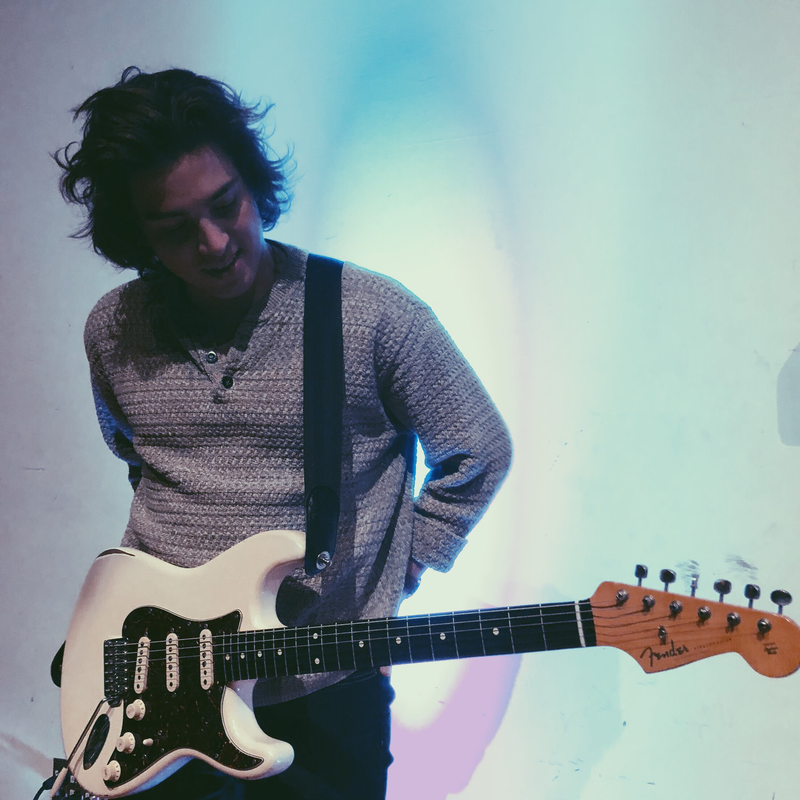 Nate hopes to inspire the next generation of musicians so that they can strive to be the best that they can be, whether that be performing live to thousands of people, or just to one. 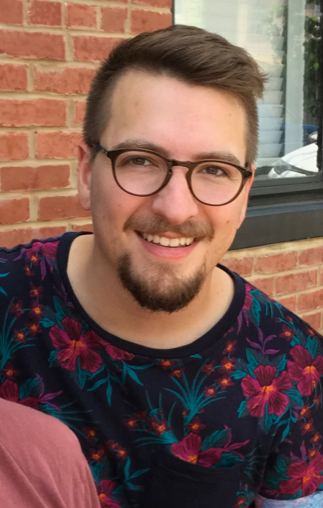 As a computer science undergrad at the University of Maryland, Nate wishes to combine his passion of programming and music so that he can share his talents to the world. 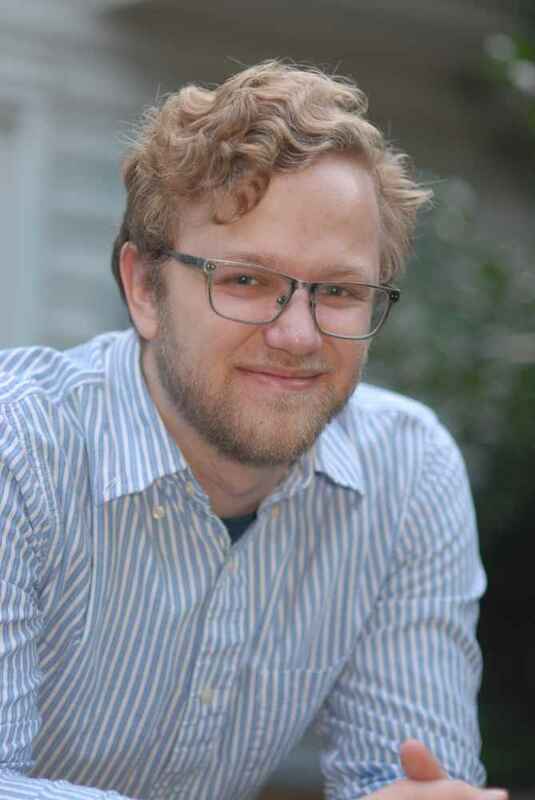 Nicholas S. is a Music Specialist and band coach at B2R Gaithersburg. He teaches guitar, bass guitar, drums, and piano. Nick has vast amounts of experience in rehearsing bands and performance events. He has been playing the guitar for sixteen years and teaching music for thirteen years. Ever since he began playing he has loved and played all different genres of music including jazz and classical, but rock and roll is what gets him through his days. Thus he has created a past time of educating and leading rock bands. In these bands he’s played guitar, drums, bass guitar, and sung. He studied music education at West Virginia University with an excellent faculty which included Doctors Sandra Schwartz and Molly Weaver. He received tutelage from the likes of Scott Elliott who had the honor of establishing himself with the PSO (Pittsburgh Symphony Orchestra). While there, he performed in many college level ensembles including guitar ensemble, sound painting, and choral union. He is a church musician with Difference Makers Church in Damascus, MD formerly known as Damascus Wesleyan Church. For over a decade he has been rocking and jamming there. Music is his life and he loves to teach that which has brought him so much joy. Pedro V. is a passionate and dedicated guitar and band instructor at Bach to Rock Gaithersburg. Being inspired at a young age to play the guitar, he quickly developed skill on a personal and academic level. 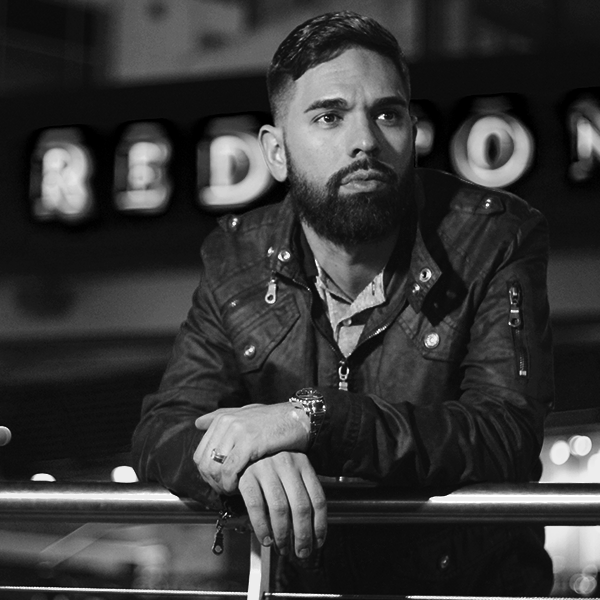 Pedro has had the opportunity to perform at several venues, conferences, and other events and has also recorded in a number of professional studios across the United States. 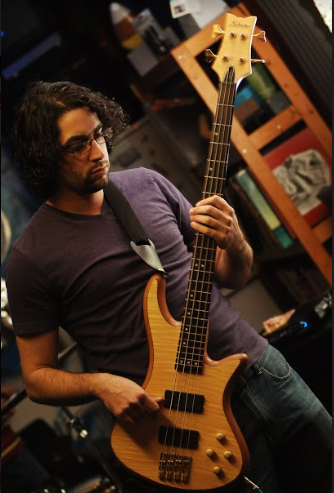 He has had the distinct honor to play with and be mentored by several Grammy award-winning musicians and producers such as: Mark Letierri of Snarky Puppy, Dave Cleveland; world renowned gospel guitar player, Joey Vazquez; 5 time Grammy award-winning bass player and several others. In the long run, Pedro yearns for each student to reach his or her musical goals in the most fun and interactive way possible! 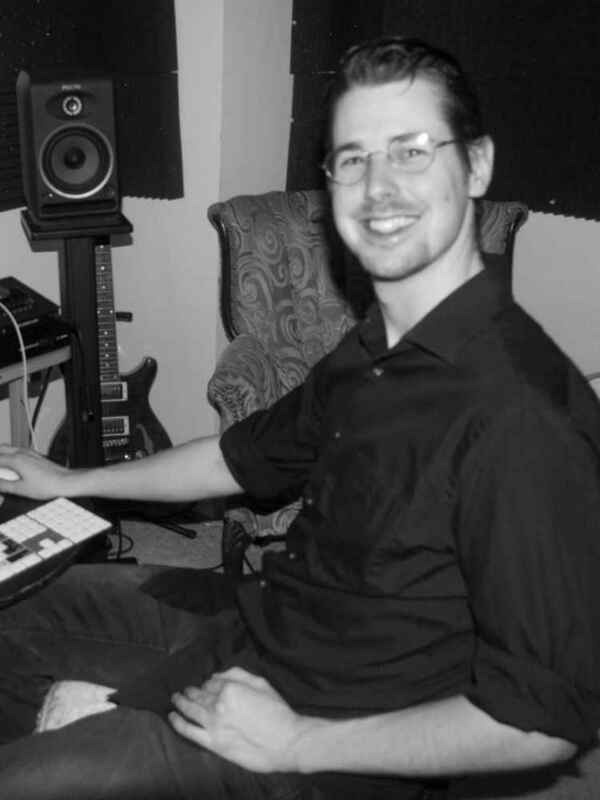 Valen P. is an Audio Engineer with nearly a decade of experience in Recording/Mixing/Mastering and Music Composition. A recent transplant from the central coast of California to the DMV area, he has worked with dozens of artist, and his engineering work has appeared on national radio. A lifelong musician, Valen plays drums, piano, guitar, ukulele and anything else he can get his hands on. He has studied at Berklee College of Music, with a primary focus on Music Production.